Where can I get a loan to buy a home? Your home is likely to be the largest purchase of your life. How many times can you say that you have spent hundreds of thousands of dollars on something? Most of us, though, can’t just pull that kind of money out of our pockets; we need to borrow it. A home loan can make it affordable for you to purchase a home. But where can you get a loan to buy a home? First of all, it’s important to understand the difference between going to a bank or credit union and getting the help of a loan officer, and going to a broker. When you get a loan through a specific bank or credit union, the loan officer you deal with works with only one lending institution to provide you with the money for your home purchase. You are limited in terms of the types of loans and terms you can access. A broker, on the other hand, is someone who is authorized to connect you with a number of different loan programs and sources of funding. A mortgage broker isn’t limited to just one bank or credit union, and he or she might also be able to help you better take advantage of loan programs offered through the government. Brokers have been taken to task in recent years for steering borrowers toward higher-priced loans in the hopes of getting bigger commissions, but new federal regulations, and new licensing requirements for brokers, restrict these practices. No matter where you go for your mortgage financing, though, it makes sense to carefully review the loan terms, and make sure you are getting the best deal. Shopping around with the help of a broker, as well as contacting loan officers at individual banks and credit unions can be a good way to compare terms, and even encourage someone to give you a better deal, since there is competition for your business. Most banks and credit unions offer mortgage lending services. As you compare mortgage terms, check into the differences between banks and credit unions, since you can often find slightly better deals and service with some credit unions. Banks are for-profit organizations, and they operate as businesses, looking to increase profits and reduce costs. This means that banks often have higher overhead costs, including taxes. Credit unions, on the other hand, are considered non-profits and are member-owned, rather than responsible to shareholders. They also enjoy favorable tax status. As a result, many credit unions offer lower mortgage rates and better terms, since they aren’t as worried about turning profits. However, it can be harder to get approved for a loan at a credit union, since many are small with limited resources. They may not be able to handle the risk that you will default, and may have more stringent income requirements, or higher credit standards. Bigger banks might be more flexible in their lending practices, allowing you to get a loan that a credit union might not approve you for. Carefully consider your options as you shop around for a loan, and make sure that you are upfront about your financial situation and credit situation so that lenders can accurately explain your options. You don’t have to limit your mortgage to a brick and mortar institution. There are a number of sites, like RateZip, that can provide you with access to a variety of loan programs from across the country. In many cases, it’s even possible to apply for mortgages online, without needing to go into a bank or credit union, or physically sit down with a broker. Comparing mortgage rates online can be one way to do preliminary research, and to see what’s available to you. Additionally, you can use loan offers from online lenders as a jumping-off point to negotiate with brick-and-mortar lenders. If you can’t come to an agreement with someone offline, there is a good chance you can get your loan through a lender on the Internet. If you do use the Internet to find a home loan, make sure that you use a reputable company to find your mortgage rates and potential lenders. You always need to be on the watch for scammers, but if you use a reputable site, you will have access to a variety of loan programs and mortgage terms that are likely to fit your needs. There are a number of government programs designed to help you afford a home loan. It’s important to note, though, that the government doesn’t actually loan you the money in most of these cases. Instead, a government agency will guarantee your loan. This means that the lender feels more confident lending to you because if you default on the loan, the government will make up for the lost money. FHA: These loans guaranteed through the Federal Housing Administration are widespread. Credit requirements are lower, and down payment and closing costs are relatively low. 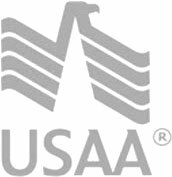 USDA: If you are buying in a rural area, you might qualify for a USDA loan, which allows you to buy with no money down. VA: Veterans have access to the VA loan program, which is very generous in terms of credit requirements, low fees, and no down payment. It’s also worth noting that many local and state governments, as well as private charity organizations, have their own programs aimed at first-time homebuyers, people willing to buy in particular neighborhoods for the purpose of urban renewal, and even sweat-equity programs that allow you to see more affordable loan terms if you are willing to help build your own home. If you qualify for these programs, talk to a lender or broker about your options, and what’s available to you. Finally, there are ways for you to get a loan to buy a home through seller financing and private mortgage loans. Understand that when you choose seller financing or private financing that you might have more relaxed loan requirements (such as lower credit requirements, and no loan origination fees or closing costs), but you often pay for the convenience in the form of a higher mortgage rate. In the case of private financing especially, it is not uncommon to see mortgage rates of 11 or 12 percent. With seller financing, the homeowner is willing to take the risk that you will pay. You make payments to the homeowner, on an agreed scheduled. Loan paperwork is drawn up, and you agree to certain interest and other terms. The seller takes care of the legal paperwork, such as title transfer, and you make payments directly. Private financing is similar, but you don’t usually get the financing from the seller. Instead, you borrow the amount from an investor, or a group of investors. These investors also often handle the legal paperwork, and there is a provision for taking over ownership of the home if you fail to make your payments. Before signing these types of agreements, you should carefully review the paperwork, and even have a trusted legal professional check to see that everything is in order. There are many different options when it comes to getting a loan to buy a home. Consider your situation, and make a choice that works best for you.